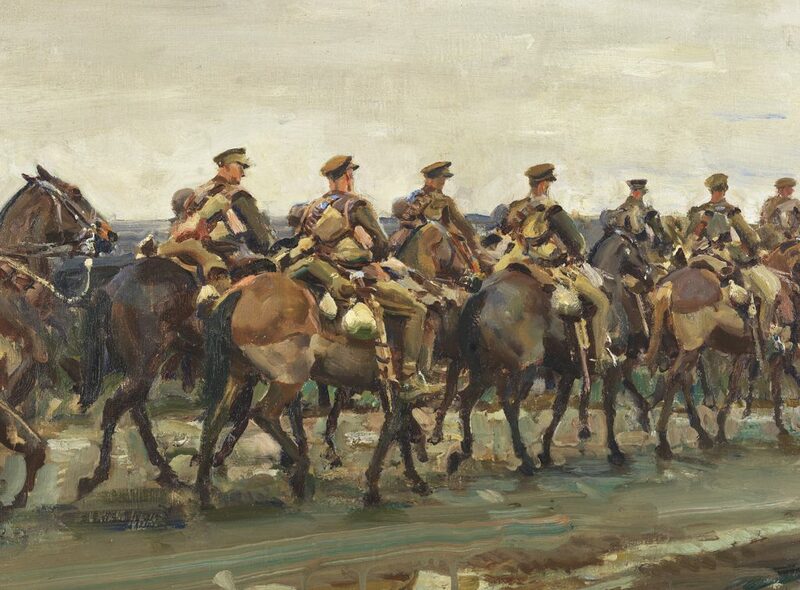 Soldiers and horses have always had a special relationship, and a new travelling exhibition from the Canadian War Museum provides a glimpse into the lives of horsemen through the eyes and brush of a master equestrian painter. The exhibition, Alfred Munnings: The War Years, 1917–1918, wouldn’t be possible without the support of the Beaverbrook Canadian Foundation — and it’s a connection more than a century in the making. In the early part of the First World War, Canadian soldiers were rarely featured in official images. One man made sure that changed. In 1916, Sir Max Aitken, a newspaper mogul born in New Brunswick, Canada’s wartime publicist in London, and soon-to-be Lord Beaverbrook, used his considerable political influence and personal fortune to create the Canadian War Memorials Fund. The program employed British, Belgian and Canadian painters, photographers and sculptors to capture the Canadian war effort at home and overseas. One of those artists was Sir Alfred Munnings (1878–1959), a renowned painter of horses who had built his reputation in the rolling rural landscapes of southern England. When he was denied service in the British army because of a blind eye, he found work examining horses for diseases and parasites as they arrived from places like Canada to supply cavalry and transport units. 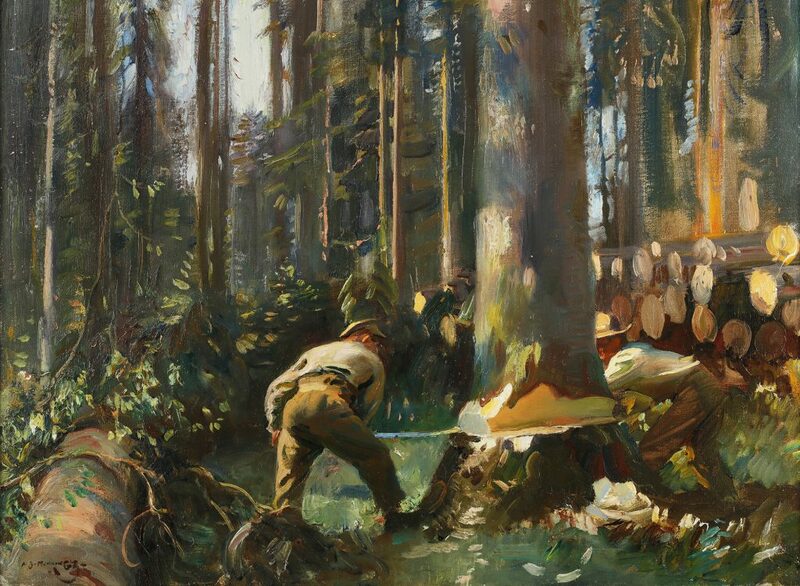 Munnings joined Lord Beaverbrook’s art initiative in 1918; the program acquired 44 artworks from Munnings, which are now part of the Canadian War Museum’s Beaverbrook Collection of War Art. The exhibition will feature rare paintings of soldiers and their mounts at rest, at work and in the pitch of battle. Munnings went to the front to paint his subjects, often setting up his easel on the same duckboards soldiers used to stop from sinking into the ever-present mud. Although modern weaponry made cavalry almost obsolete by the First World War, horses still played an important role in transport and an estimated 8 million died in the conflict. Together with the Munnings Art Museum in Dedham, Essex, and with a generous gift from the Beaverbrook Canadian Foundation, the Canadian War Museum will highlight the artist’s work in the critical final years of the war. The Munnings Art Museum will anchor the exhibition’s British tour; the elegant country manor is the artist’s former home and studio. The exhibition will tour in Britain from 2018 to 2019, before making its North American debut at the Canadian War Museum in the fall of 2019. The Museum is planning a cross-Canada tour.